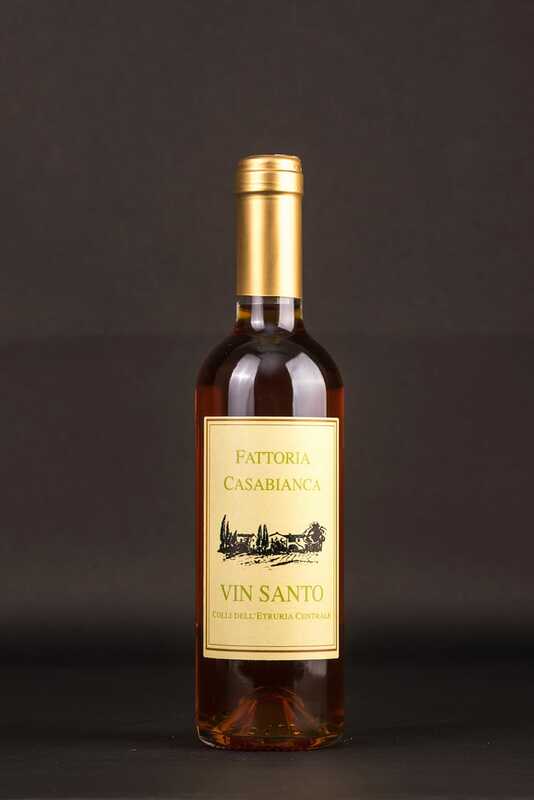 A sweet wine with an amber colour, a fragrance of almonds, honey and figs. All grapes are harvested by hand in mid-October, and then left to fade on wooden trays. After four or five months they are pressed with a very gentle pressing and their nectar then rests for four years in small wooden barrels with a reinforced cap. 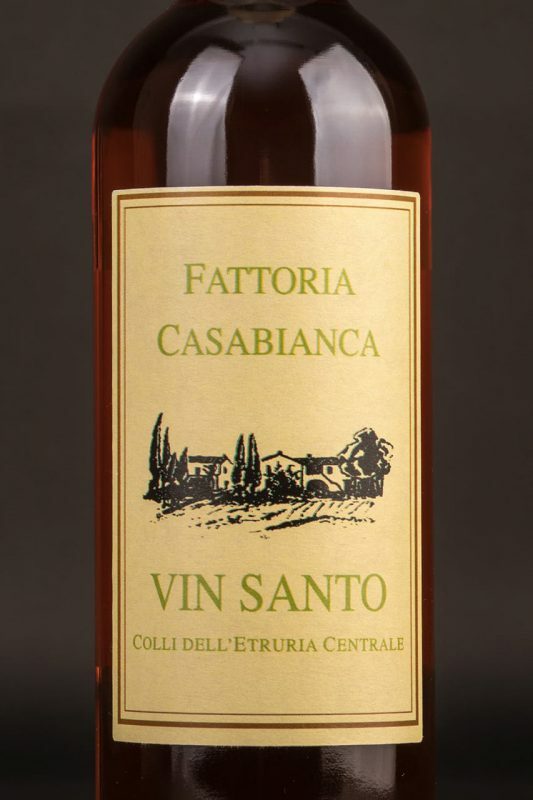 The final step takes place in the bottle, where the Vin Santo is aged for three months. The result is a sweet wine with an amber colour, a fragrance of almonds, honey and figs, with a dense and harmonious palate and a hint of dried fruit. Taste/flavour: Dry, warm, almonds, dried fruit.